The PuSh International Performing Arts Festival Society is a not-for-profit charitable organization. Encourage cultural export by linking Vancouver with a national and international network of presenters. PuSh has been enthusiastically welcomed as a long-awaited breath of fresh air for Vancouver audiences and artists. Since its modest beginnings in 2003, the Festival has grown exponentially and now enjoys a highly regarded Canadian and international profile. An important animator of new creation, the Festival commissions groundbreaking work while stimulating dialogue and exchange. PuSh was a major partner in the 2010 Cultural Olympiad. In 2011, together with the City of Vancouver, PuSh launched the official celebrations of the city’s 125th anniversary with an outdoor event in Gastown that drew over 7, 000 people. January 2014 marked the 10th anniversary of the PuSh Festival, which had over 150 performances and events in 15 performance venues over 20 days. Attendance was almost 24, 000 with 79% average house capacity, with 37 sellouts. The PuSh International Performing Arts Festival is unique among the region’s festivals. Curated, multidisciplinary, international in scope—the Festival stands alone in its commitment to bring together critically acclaimed work from different disciplines under the umbrella of a single festival. The PuSh Festival highlights new ways of storytelling, new forms of staging, new approaches to combining disciplines, and new views on contemporary themes and issues. PuSh envisions its leadership role as a catalyst and animator. We foster connections between existing audiences and artists, while providing an occasion for dialogue and exchange between like-minded communities. Premieres by local artists are presented alongside shows that have garnered national and international acclaim. Together, audiences are afforded an inspiring view of trend-setting innovations from across Canada and around the world. Professional development opportunities at the Festival take many forms and forums. 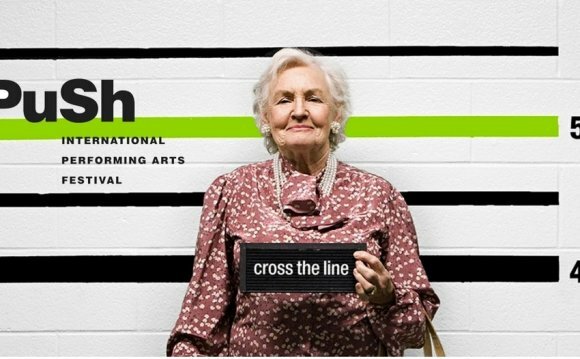 A highlight is the PuSh Assembly: a performing arts industry initiative that offers global networking opportunities through its specialized programming for the Canadian performing arts.